Trenton is not only the capital of New Jersey, it is also our state’s capital of “tomato pie” production and ingestion. A tomato pie is more or less a pizza that has a thinner, crispy crust, an abundance of sauce and of course some mozzarella, quite tasty in its own right. In the Trenton neighborhood of Chambersburg, there is an unusually high ratio of tomato pie purveyors as compared with other parts of the state–and it proudly (and rightly) promotes this gustatory quirk. 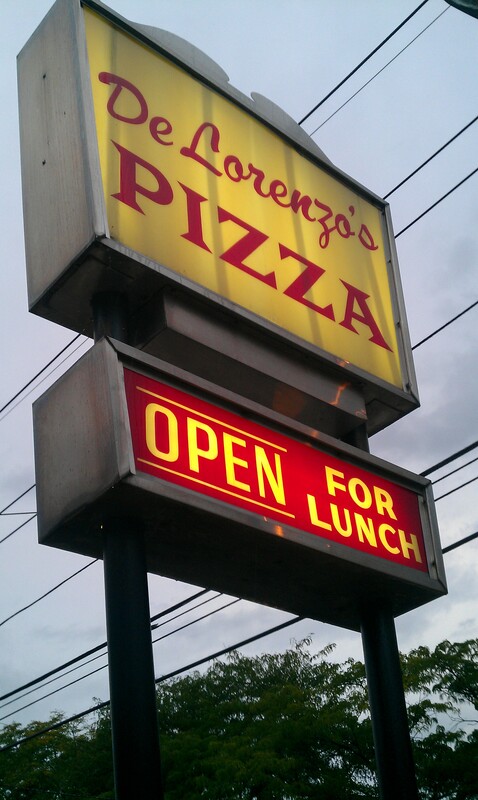 Since 1938, the apex of Trenton tomato pie dining has been DeLorenzo’s on Hamilton Avenue. The restaurant has never left the hands of the DeLorenzo family, starting with Pasquale and Maria who emigrated from Naples, to present day under the ownership of Nick DeLorenzo, Jr. It is an unassuming dining room in a rough-around-the-edges community, but is warm, friendly and perfect for pigging out with friends. Note: it is BYOB, and there is a scary liquor store nearby for convenience. Only one of our party had ever previously been to this establishment, despite its high word-of-mouth ranking and media darling reviews, so we decided to give it a whirl together. 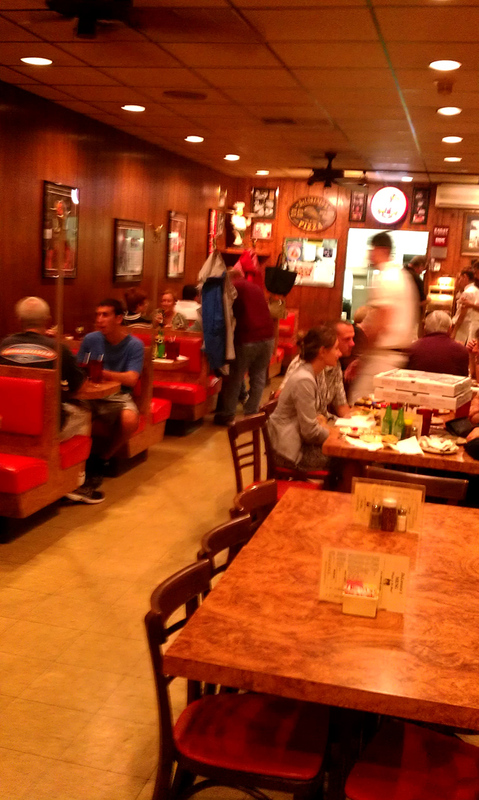 If you don’t like pizza, don’t come here, as it is the sole item on the menu, albeit in many different incarnations. We numbered 4 diners and ultimately needed 3 pies (ok, we were hungry)–a plain, an onion and a fresh garlic–ordered well done for extra crispiness. They were all delicious, although the garlic pie was the clear winner–yum, yum, yum! We were all very happy and full. DeLorenzo’s can cause confusion. There is a satellite outpost in Risoldi’s market on Quakerbridge Road that, though owned by the same outfit, by all accounts doesn’t hold up to the same taste standards, and there is an alternative DeLorenzo’s Tomato Pies on Rte. 33 in Robbinsville–totally different operation–so make sure you are visiting the real thing on Hamilton Avenue.